HEXUS has covered news of transparent displays previously, but newsflow concerning such products seems to have dried up of late. For example, in 2015 we saw Samsung unveil its first mirror and transparent OLED displays, and a year earlier LG was demonstrating flexible transparent OLED displays for 4K TVs. Just like the proverbial omnibus, now two stories based around the futuristic concept of transparent displays have come along. At a recent furniture and lifestyle exhibition in Milan, Italy, Panasonic unveiled a transparent OLED TV concept. 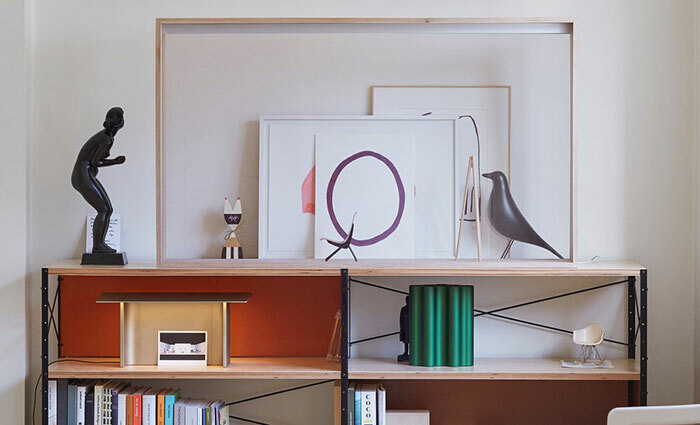 Panasonic's concept was at the prestigious show as part of an installation by Swiss furniture brand Vitra, and the product is dubbed Vitrine to acknowledge the brand. In the picture above you can see the signature rectangular shape of the display in a wooden frame that matches the shelves upon which it sits. Behind the TV are a collection of pictures and ornaments which show how discrete this electronic entertainment device is when you aren't watching a TV of film. 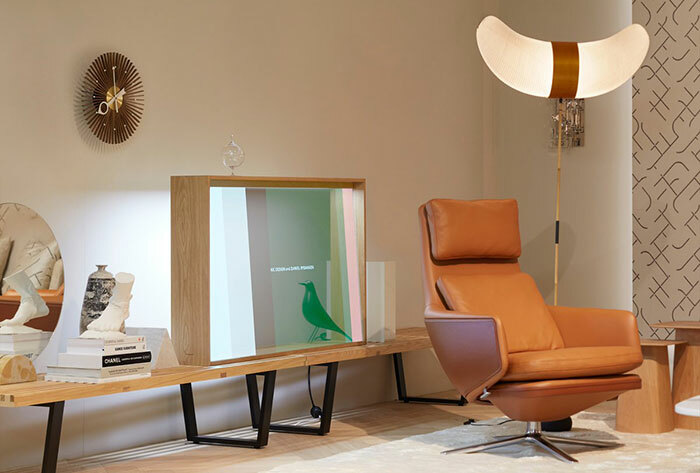 In Panasonic's words, the "transparent OLED display, which resembles a glass cabinet, is crafted from a wooden frame holding what appears to be a pane of glass. As such it blends naturally into any contemporary living space. However, the moment the device is switched on, it transforms into a vivid OLED display." It isn't clear whether this TV or similar will become available to purchase. Panasonic says it is "actively evaluating feedback about the device and looking into market demands". If you are in Milan, the Salone del Mobile exhibition is on until Sunday, 14th April. You can see it at booth B07/C12 in Hall 20. LetsGoDigital reminds us that LG showed off a transparent 77-inch 4K OLED TV at CES 2019, which boasted a transparency of 40 per cent when powered down. 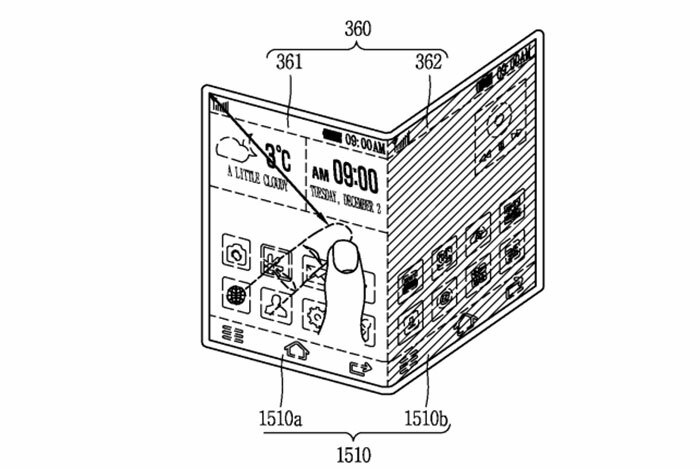 Now a patent has been unearthed that shows transparent OLED tech being used in a foldable smartphone or tablet (it looks quite big). The patent was actually filed three years ago but was only approved this Tuesday. 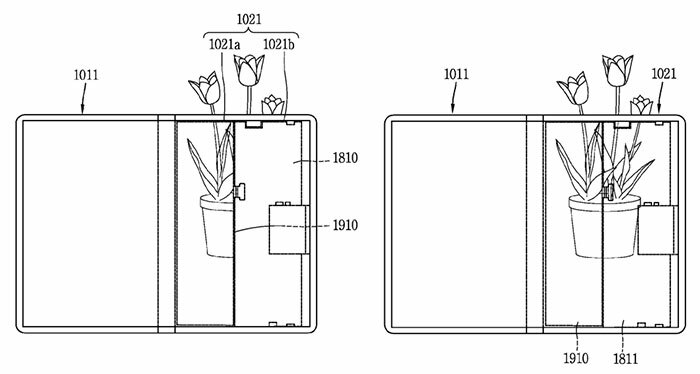 In the drawings you can see that nearly three quarters of the device's screen is transparent. However, the built in rear cameras will allow you to make it look fully transparent, as shown in the figure below. The non-transparent quarter will surely host the battery and other essential electronics behind it. In use, the display can display transparent or opaque content. 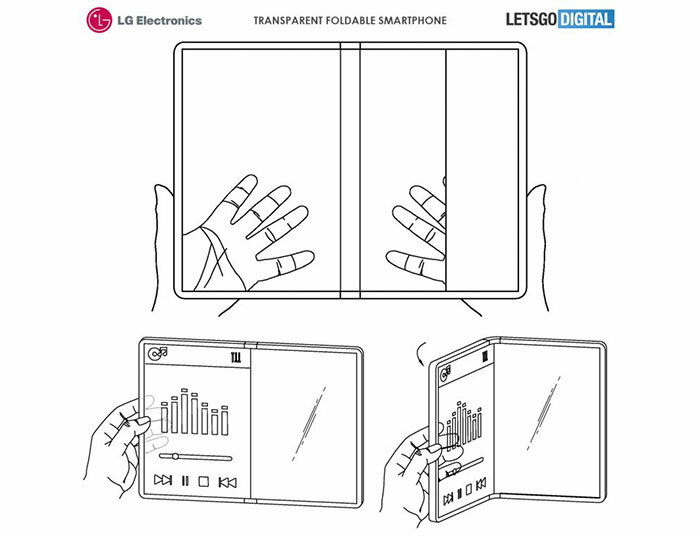 The source report says that if the screen transparency is set to 20 per cent or lower (so you can't see your hand round the back), then the same hand can be used for operating the touch interface from the back… Furthermore, the patent talks about the usefulness of multiple camera sensors and 3D stereoscopic images. As the utility value of foldable transparent phones and tablets isn't very clear, I think they may require a few more years of refinement before they reach consumers. I don't know about this, I'm just not seeing it. I'll get my coat. You're not the only one. I can imagine that it might be use…. oh…pun. I can imagine it might be useful in some circumstances like when you have a nicely decorated room and you don't want the telly to be too visible but really, I've gotta think this has niche appeal. A see-through phone / tablet? I have enough problems finding the bugger never mind if it's invisible. You saw right through me.